Neocutis provides advanced skincare using cutting-edge technology from Switzerland. *Neocutis skincare is based on the foundations of scarless wound healing and may be able to reverse the signs of aging and repair skin wrinkles and skin discoloration. Neocutis’ original formula was used to help repair burned skin when researchers discovered that the skin around the burn wound also appeared healthier and more youthful after the formula was applied. *Using a special bio-engineered anti aging formula and ground-breaking skin discoloration ingredients, Neocutis encourages renewed, flawless skin formation. Neocutis S.A. is a privately-held biopharmaceutical company that demonstrates an in-depth understanding of wound healing, skin care, and dermatology using a technology-based platform. Bringing the power of biotechnology to the world of skin care, this company was founded in February 2003 as a spin-off from the Medical School of the University Hospital of Lausanne, Switzerland. Neocutis means “new skin,” and is comprised of a line of skin care products that is available exclusively through physicians. *Neocutis products may be able to create a new, youthful complexion while reversing the signs of aging and repairing skin discoloration, wrinkles, and burned skin. *Skin that is treated with Neocutis products is often visibly smoother and firmer to the touch following treatment. The concept of Neocutis was developed when scientists observed that babies who had undergone prenatal surgery rarely showed scarring after birth. The scientists then examined the wound-healing properties of fetal skin to determine how the same properties could be used to cure and reverse various types of skin disorders. The ingredients found in Neocutis products are free of artificial coloring and fragrances, and have been thoroughly tested for safety and efficacy. *Neocutis prides itself on offering advanced skin care products that encourage the formation and repair of renewed, flawless skin using the restorative power of cellular proteins. The Neocutis Swiss Rewards program is a mobile customer loyalty program created to enhance your Neocutis experience. Everything you need to keep skin healthy and beautiful is just a finger tap away! Earn and redeem points on qualifying Neocutis products, view your points balance, receive new product notifications and more! Download the FREE NEOCUTIS Swiss Rewards APP for your iPhone, Android, or other available devices. Either click on the Neocard on the left or visit the APP Store to download. Purchase qualifying NEOCUTIS products from an authorized, participating skincare provider. After your purchase, your skincare provider will have you scan the appropriate QR codes to load the rewards points into your account. It’s that simple! Use NEOCUTIS Swiss Rewards APP every time you purchase qualifying NEOCUTIS products to keep earning rewards! Blanche Skin Lightening Cream (Hydroquinone USP, 4%) with Melaplex®. NEO•PEEL Glycolic Acid Solution with Melaplex® Technology. 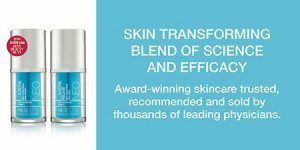 *Neocutis advanced skin care products harness the true power of human growth factors and cytokines to help deliver state-of-the-art skin revitalization. 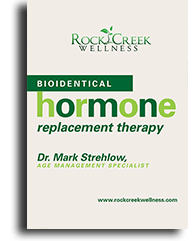 How can BHRT benefit you?